Generational leap. 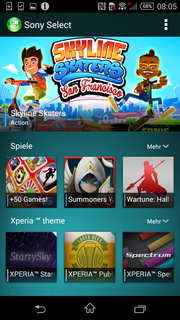 The successor of the Xperia Z1 Compact is called Xperia Z3 Compact – logical, right? Read our review to find out why the small sibling of the Xperia Z3 is a great smartphone, despite the confusing designation. Microsoft just did it with Windows and now Sony does it with its latest smartphone: Just skip a generation for the naming. However, Sony had other intentions than Microsoft: According to some rumors, Microsoft either wanted to create some distance from the unsuccessful Windows 8, or avoid problems with Windows 95 and 98 that already use “Windows 9” in their designations. 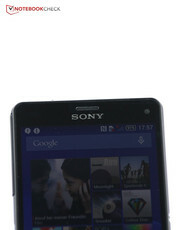 Sony on the other hand is currently pretty fast with the launch of new high-end smartphones. 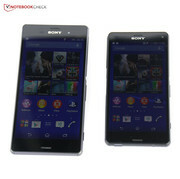 Somewhere between the launch of the Xperia Z1 and Xperia Z2 they introduced the Xperia Z1 Compact, so a possible Xperia Z2 Compact would have followed only a couple of months later, but Sony just waived this step. It has actually only been 8 months since we reviewed the Xperia Z1 Compact, and now we can already review the successor. Sony has only shrunk the Xperia Z1 for the Xperia Z1 Compact, but the specifications were almost identical. Samsung follows another philosophy: The Galaxy S5 Mini is not only smaller, but also equipped with slower hardware. 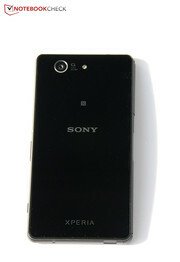 Sony follows the principle of the Z1 Compact and offers a smaller version of the Xperia Z3, but many parts like the camera sensor, the processor and the integrated storage are identical. Still, there is one small limitation: The Xperia Z3 Compact has a slightly smaller memory size with 2,048 MB. There have been some compact and/or slimmed-down versions of high-end smartphones in the recent past: The Samsung Galaxy S5 Mini, the HTC One Mini 2, the LG G2 Mini or the Apple iPhone 5c, which is surprisingly still available after the launch of the iPhone 6. The new LG G3s should also be available soon. The sophisticated case is available in new colors. Unlike Sony Xperia Z3, the smaller version does not really differ from its predecessor in terms of design. There are also similarities to the Xperia Z3 at the same time, so you might say that the large, high-end smartphone was designed after the smaller sibling and its predecessor. However, the transition of the display and the case is not as seamless compared to the big brother, so the Z3 Compact is not quite as thin: 8.64 millimeters (~0.34 inches) vs. 7.3 millimeters (~0.29 inches) for the Xperia Z3, but the Z1 Compact was even 0.9 millimeters (~0.03 inches) thicker. The weight was also reduced by 8 grams (~0.3 ounces) compared to the predecessor. Plastic and glass are the materials of the Xperia Z3 Compact. 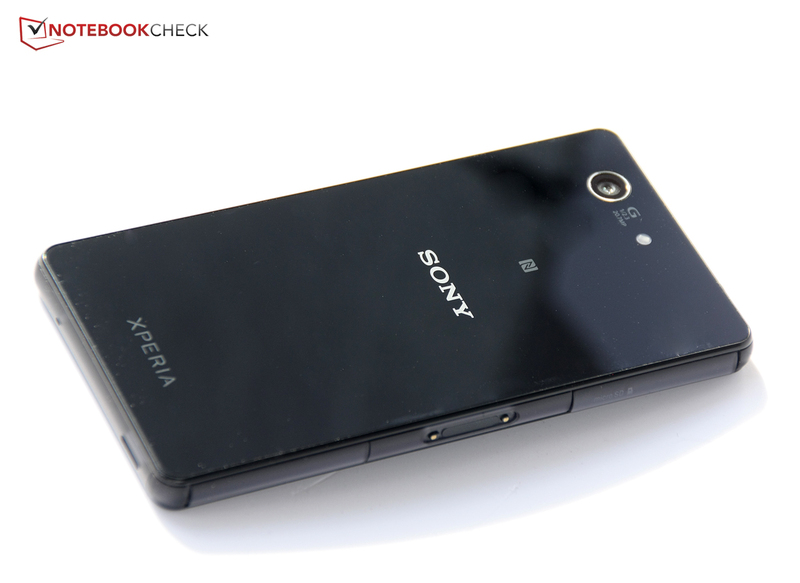 The frame is, unlike the Xperia Z3, not made of metal, but the high build quality reminds us of other family members. Unfortunately, this is also true for the stability, which is not perfect: You can twist some of the corners and there are picture distortions, the same happens when you push down certain spots at the back. Once again, you cannot open the Xperia Z3 Compact, so you cannot replace a faulty battery by yourself. The protection against dust and water according to IP 65/68 is similar to the Xperia Z3, which means it is protected against 1.5 meters (~5 ft) deep fresh water and also dust-resistant when all the covers are attached. Another similarity is the different available colors, which now include green and orange as well as the familiar black and white. The port layout has not changed compared to its predecessor: On the right side are just the physical buttons for standby, volume and the camera, and on the left side are the slots for micro SD cards, Nano SIM cards and the USB port. Also on the left side: The magnetic docking port, which can be used to attach the smartphone with the docking station. At the top is the combined stereo jack with five contact pins, so it can transfer additional signals like noise canceling. 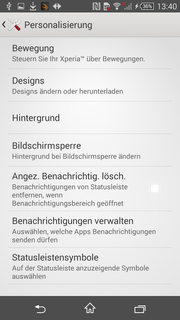 The Compact version finally gets the Android 4.4 operating system as well. Sony once again uses its own user interface, however, it only changes some details of the OS and basically just expands the functionality. 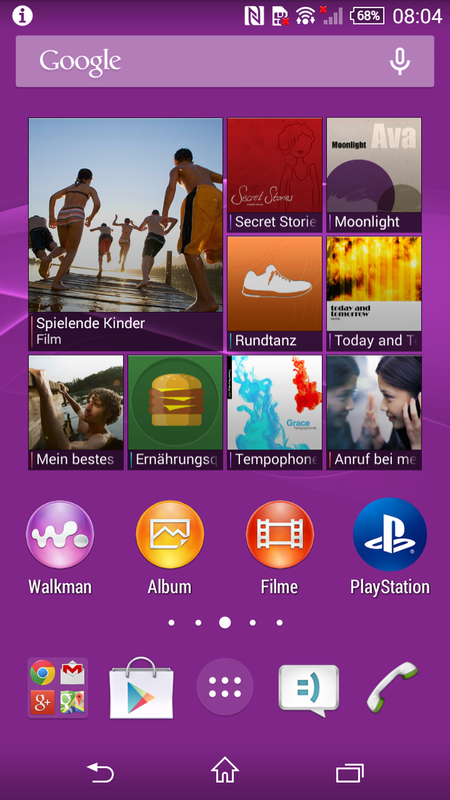 There are more personalization features, for example, the directly integrated "Xperia Themes", even though Sony does not offer all themes for free. 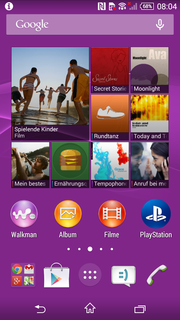 The Xperia Z3 Compact once again has a comprehensive software package. Not all the apps are very useful, but there are some nice additions like a free virus scanner and a free navigation software. 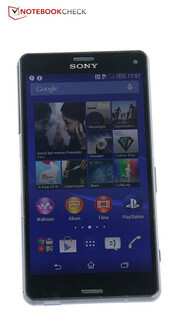 The software is identical to the Xperia Z3; more information is available in the corresponding review. The wireless communication standards have been slightly improved, as well as Bluetooth 4.0 you now also get NFC support. The WLAN module once again supports the very fast 802.11ac standard, but the signal quality is just average: With a distance of ten (10) meters (~32.8 ft) to the router and through three walls, the signal fluctuated between 3/4 and 1/4 bars and data transfers were noticeably slower. Another two (2) meters (~6.5 ft) and another wall resulted in 50% of the signal. The Xperia Z3 Compact is well equipped in terms of wireless networks with support for four different GSM frequencies, five different UMTS frequencies and ten different LTE frequencies. There should be no problem to make a call or browse the web in most parts of the world. The maximum theoretical LTE speed is 150 Mbps for downloads and up to 50 Mbps for uploads. The signal quality was very good during our review; we often had a full signal in the metropolitan area of the pretty weak German E-Plus network. 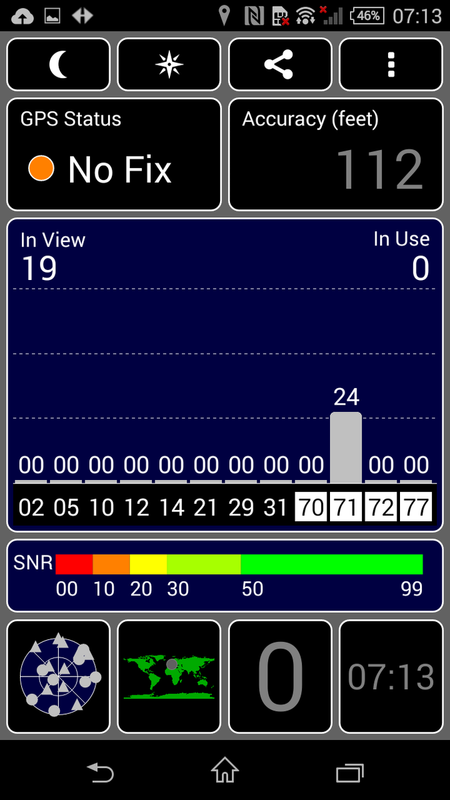 The A-GPS module now supports the Chinese network Beidou as well. 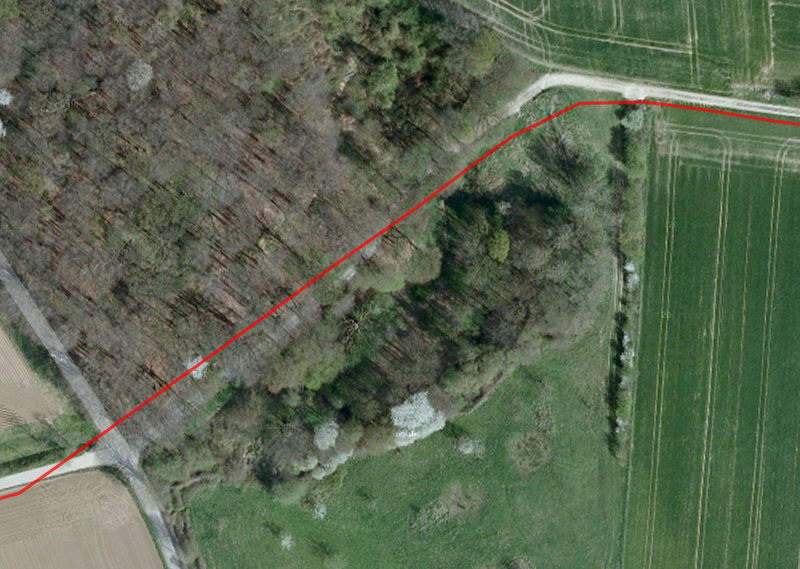 We still noticed some problems with the accuracy of the location in the review of the Xperia Z1 Compact, and the issue has not really improved for the successor: It is not possible to locate your position indoors and it takes a while outdoors before the smartphone finds enough satellites to locate our position down to 10 meters (~32.8 ft). 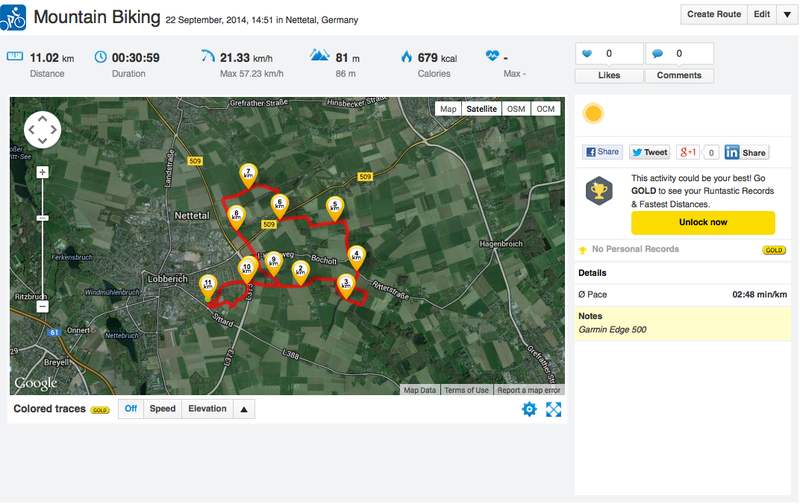 We test the Xperia Z3 Compact on a bicycle ride and compare it with the professional navigation device Garmin Edge 500. 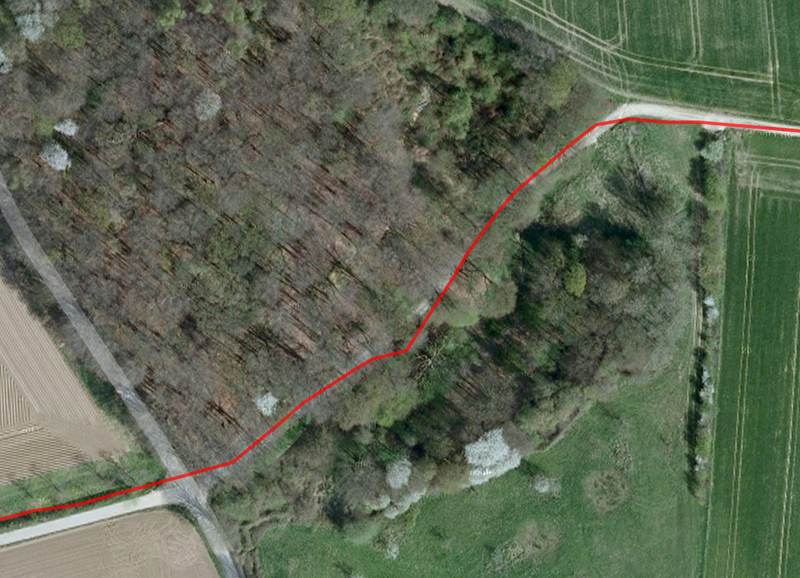 The Xperia Z3 Compact indicates around 400 meters (~1312 ft) less than the professional device, and the location points are also a bit confused at the bridge and let us "fly" above the crossing road. 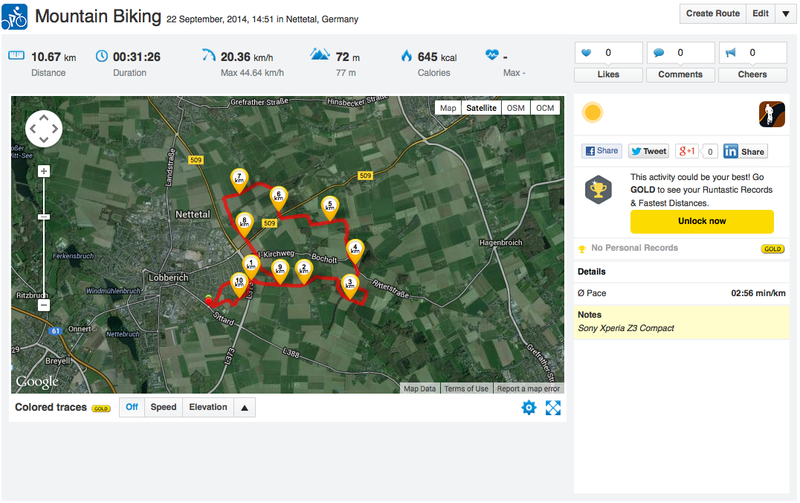 The situation is better in the forest section, but the Garmin Edge 500 is still more accurate. 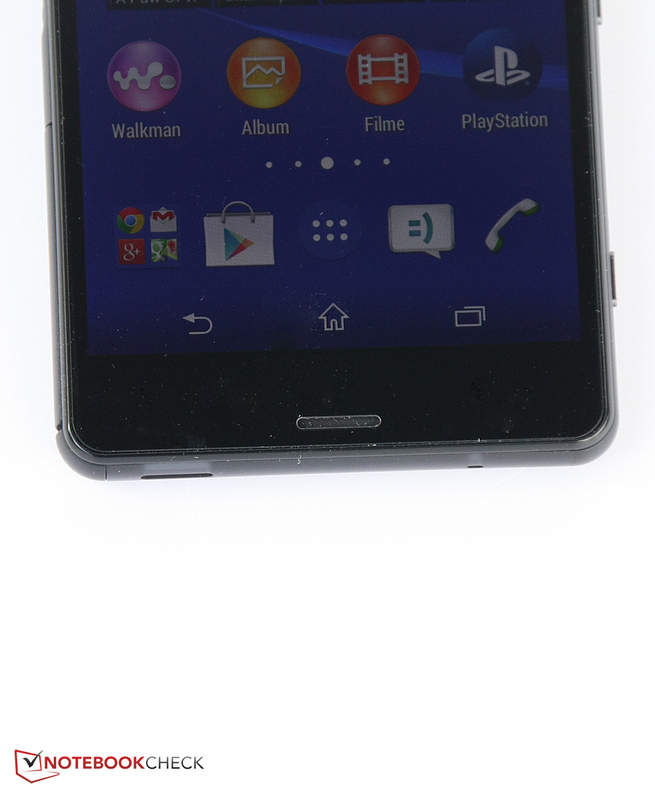 We had already noticed a very good voice quality in the review of the Xperia Z1 Compact. 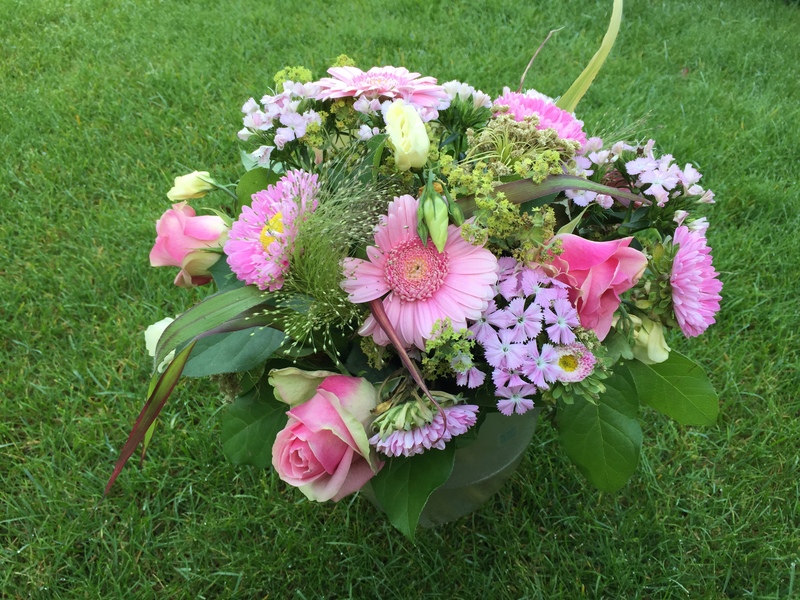 The successor produces clear voices as well, it is easy to understand the other person and the same applies to our voice at the other end of the call. Ambient noise is also filtered very well. 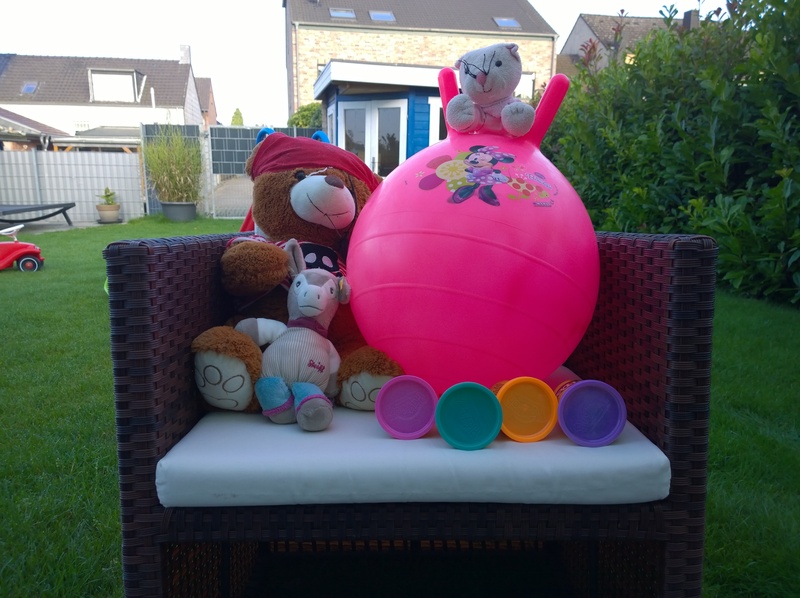 The quality is probably not quite as excellent compared to the larger Xperia Z3, but still on a very good level. The phone app is still Google’s standard app, which can be operated very intuitively and offers many features like favorites and caller groups. Sony includes an answering machine as well. 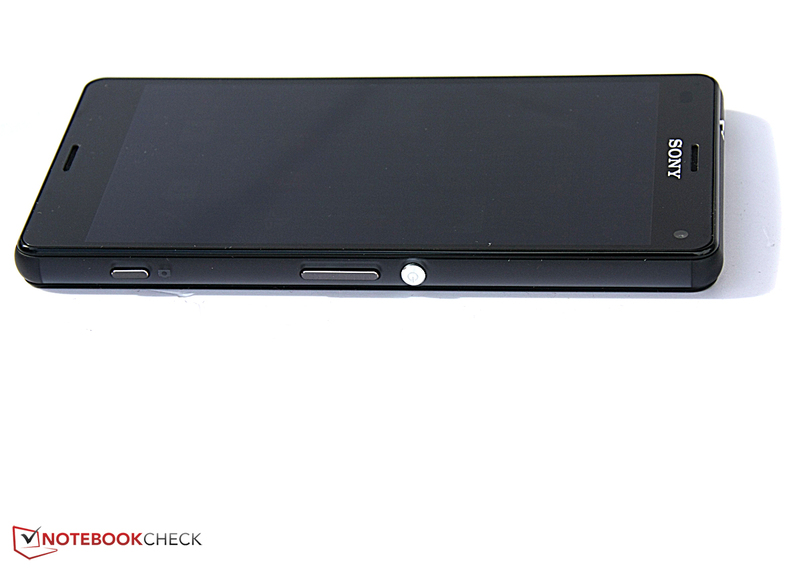 Similar to the Xperia Z3, Sony also equips the Xperia Z3 Compact with a 20.7 megapixels camera sensor. The sensor at the front takes pictures with 2.2 megapixels, and you once again get the comparatively large sensor with a diameter of 7.7 millimeters (~0.3 inches). We are impressed by the high quality of picture details and the natural colors. The camera also takes decent pictures in bad lighting conditions, which is mainly achieved by an increased ISO value and therefore a higher sensitivity to light. However, this quickly results in picture noise and a reduced sharpness of details. Nokia’s cameras are currently still better in these scenarios. It is also possible to take 4K videos. 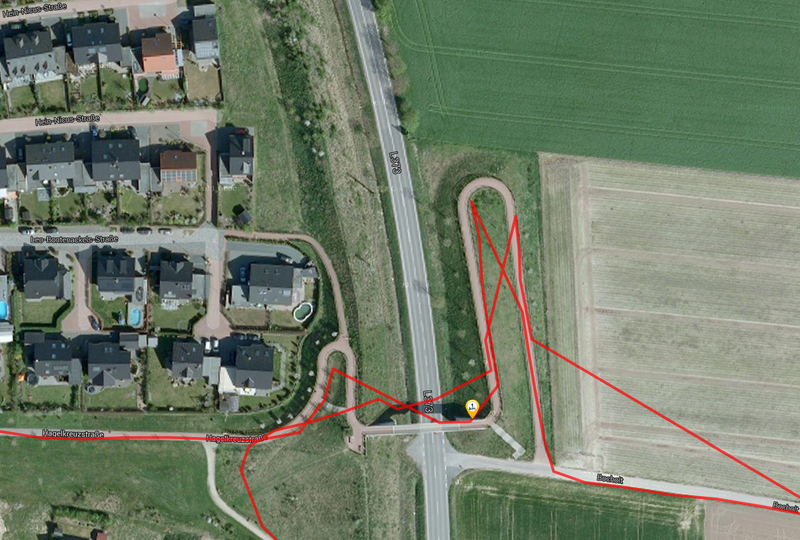 The handling is pretty easy with the corresponding app and the quality of the recordings is good. 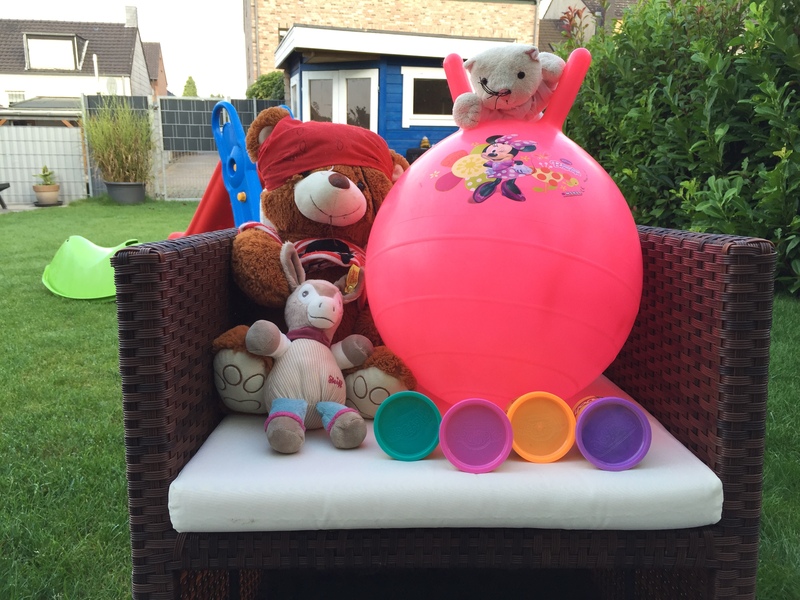 Slow-motion videos with 120 frames per second are also possible, an example video is available in our review of the Xperia Z3. 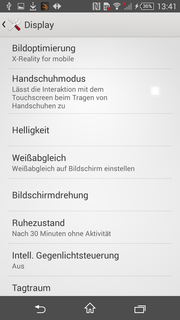 Sony preinstalls several additional apps, which include some useful features, but also some gimmicks: There is, for example, an app for a manual mode with many settings. This is also the only mode where you can use the full resolution of 20.7 megapixels, otherwise the camera takes pictures with only 8 megapixels. Other apps include AR effects, or enable the addition of sharpness for the background to simulate a professional picture. 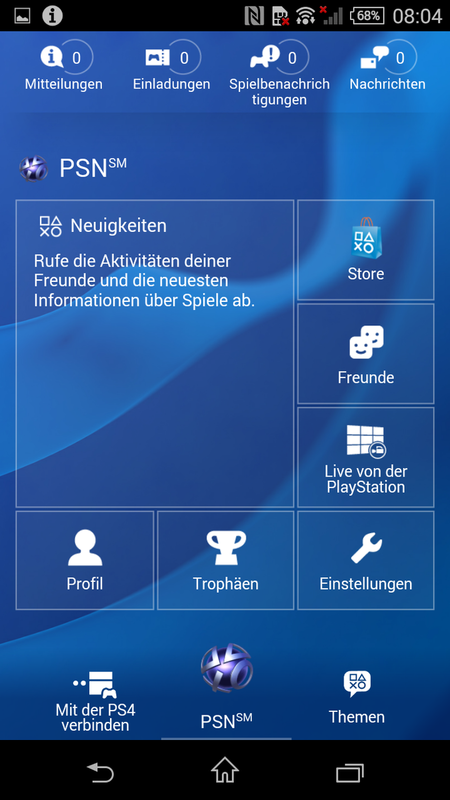 Sony promises to continue launching additional apps with new features. 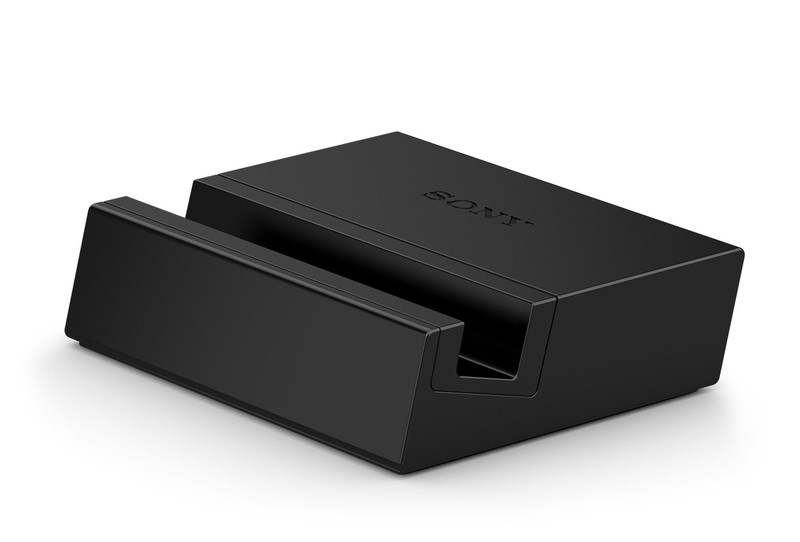 The number of accessories for the Xperia Z3 Compact is fewer compared to the larger sibling: There is no cover with a window, but you can, for instance, use the docking station, even though it can only be used to charge the smartphone. The price is unfortunately still unknown. 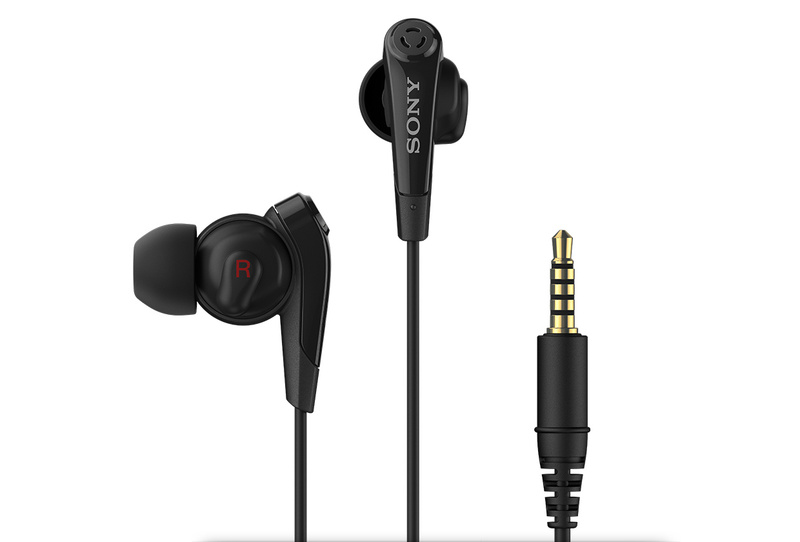 You can also use the in-ear headset with digital noise reduction for 59 Euros (~$75). 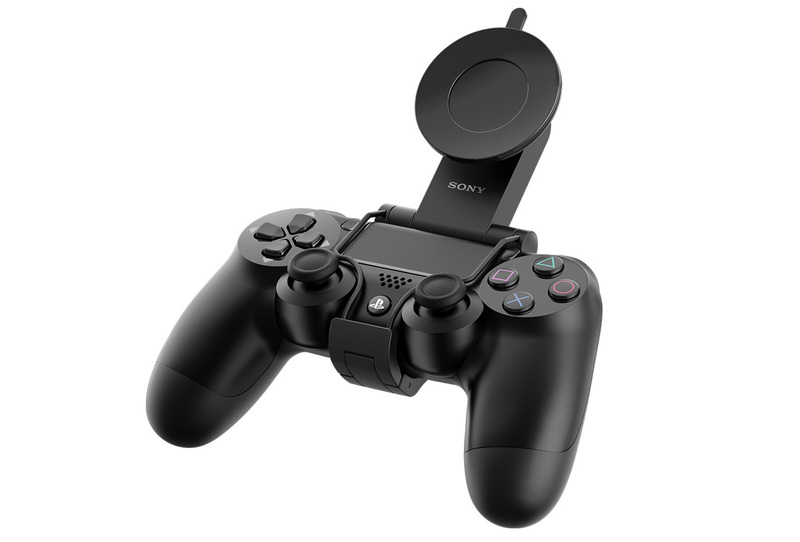 The "Game Control Mount", which can be used to attach your smartphone on a PS4 controller while you stream games from the PS4 is compatible as well, but the price has not been released yet. The warranty period is 24 months. Even though the device is waterproof and dust resistant, you really should know the conditions that Sony specifies for "improper use". You should, for example, not dive too deep, not use the smartphone in chlorine water too long and not submerge it in the rinse water. Sony can accurately see how the damage occurred via sensors in case of a warranty event. Details regarding appropriate use are available on the website. The touchscreen of the Sony Xperia Z3 Compact is just as convenient to use as the unit of the larger sibling Xperia Z3: Very precise up to the peripheral areas, the surface always provides good gliding capabilities and the "Glove Mode" even enables control with thin winter gloves. Up to ten inputs are recognized by the touchscreen simultaneously and multi-touch gestures work pretty precisely. 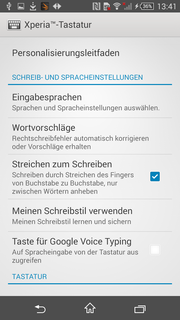 The keyboard of the Sony Xperia Z3 Compact is once again, Sony’s customized "Xperia Keyboard" with several settings. 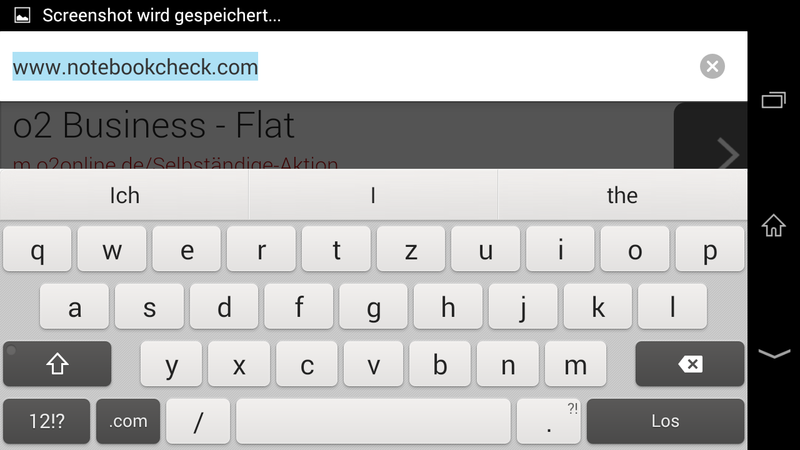 This means you can set up the keyboard just the way you want to and configure the keys with symbols as secondary inputs, for instance, or add smileys and so on. 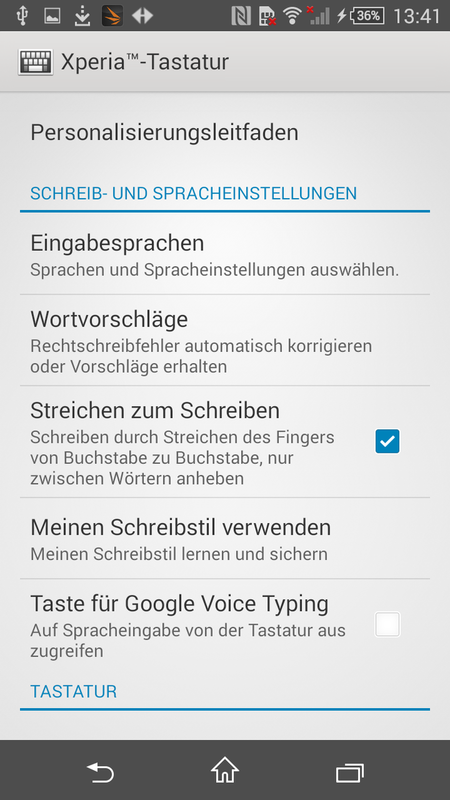 Only handwritten inputs are missing, otherwise you get all the usual input methods like dictation, swipe inputs and obviously an extensive auto correct feature. If you expect a Full HD display, then you will be disappointed with the Xperia Z3 Compact. 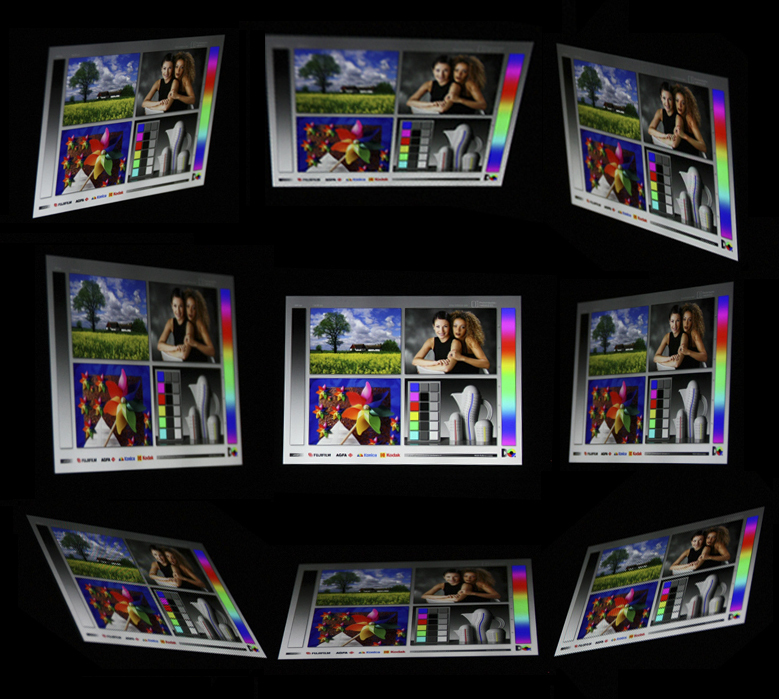 Similar to its predecessor, the panel only has 1,280x720 pixels. This is not a huge problem for a 4.6-inch display since you can hardly see the difference to Full HD. None of the current rivals from the Mini or Compact segments offer a higher resolution anyway. Even the new LG G3s will only have a 720p resolution, so Sony is in line with the competition. The display does not have to hide behind the rivals in terms of brightness, either. 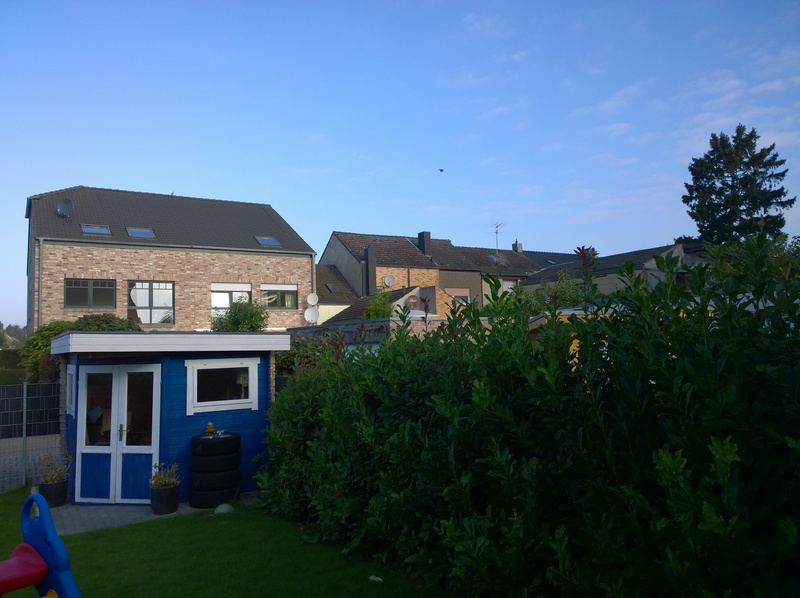 It does not reach the outstanding maximum brightness of 702 cd/m² from the Xperia Z3, but it is still above average with a maximum value of 513 cd/m² and 500 cd/m² on average. It is only beaten by the Apple iPhone 5c amongst the rivals. 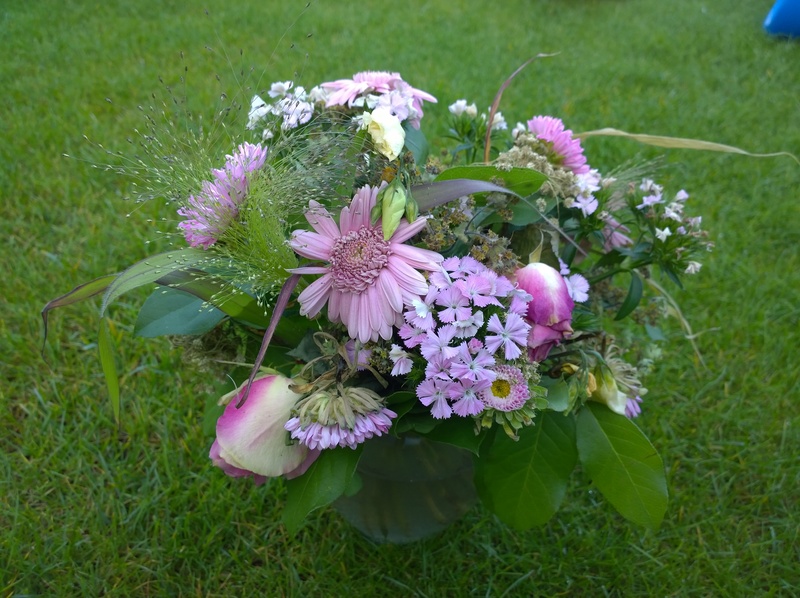 We also like the picture quality of the Xperia Z3 Compact in general: The picture looks sharp, colors appear more vivid and the brightness distribution is very even with 94%. 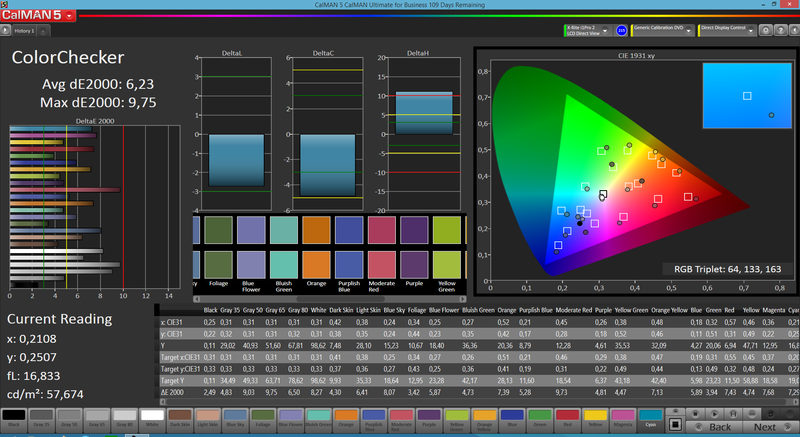 Once again, there are many settings for picture improvements and you can even change the white balance. 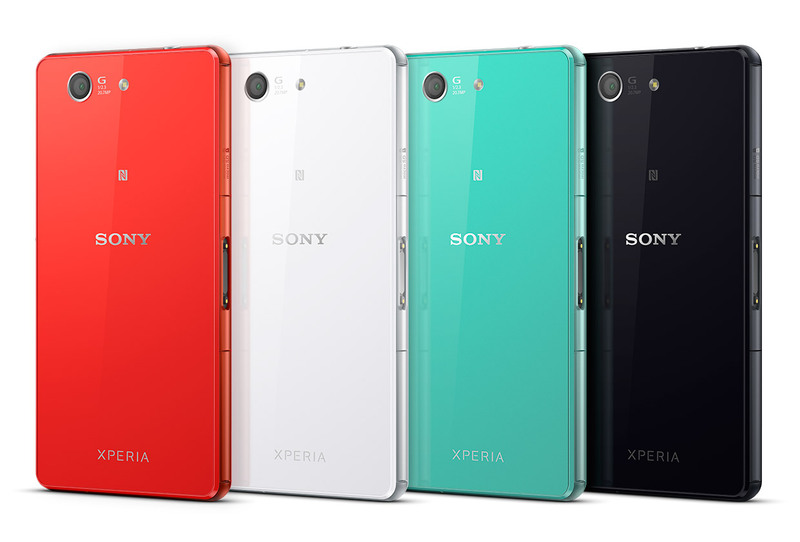 The Xperia Z3 Compact can even surpass the Retina display of the Apple iPhone 5c with regard to the black value and contrast: A black value of 0.41 cd/m² and the resulting high contrast of 1,125:1 are better than all the comparison devices. 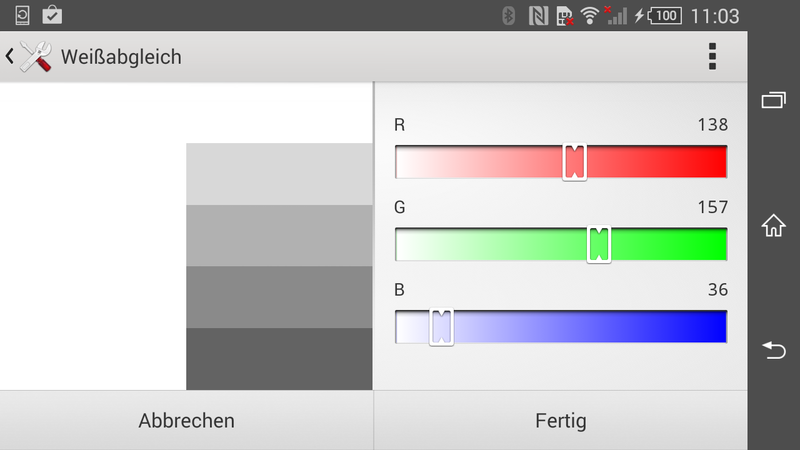 There is one small exception: The LG G2 Mini has a slightly better black value of 0.38 cd/m², but has a worse contrast ratio due to the lower panel brightness. 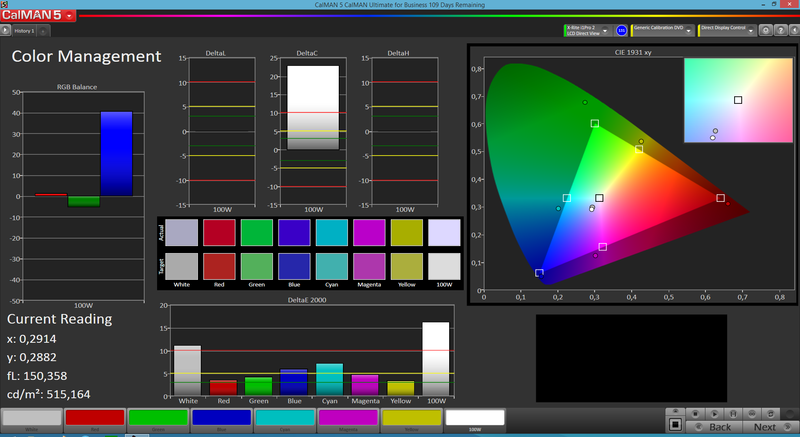 We check the color representation of the display with a measuring device and the software CalMAN. 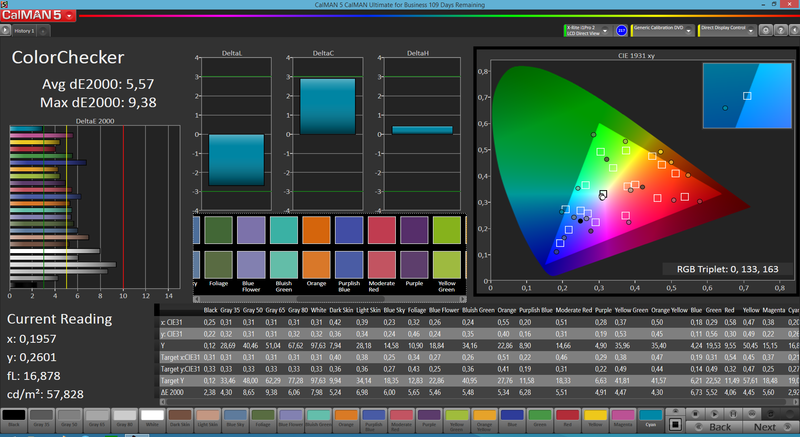 Sony offers a manual white balance, so we test the values with the standard settings and also with a calibrated white balance. There is a slight blue cast, which can be significantly reduced by the manual white balance, but you can still see it with bright shades of gray in particular. 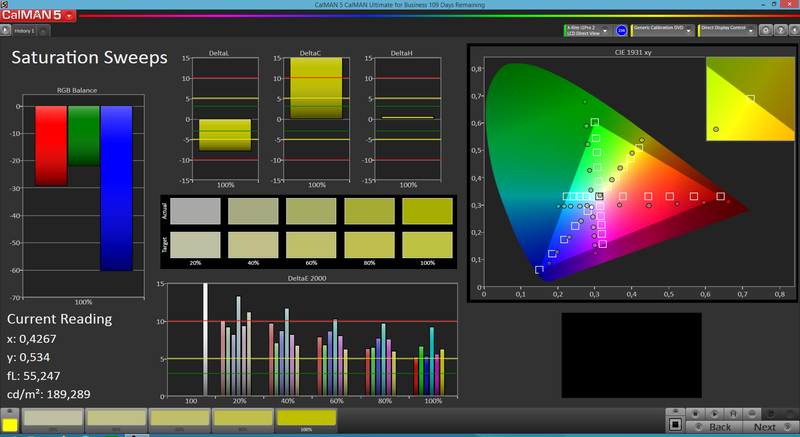 The deviation of the colors from the reference color space sRGB is too high without the manual white balance: The average deviation is almost 9 for the colors and almost 10 for the grayscale; the iPhone 5c manages values below 3 in both cases. 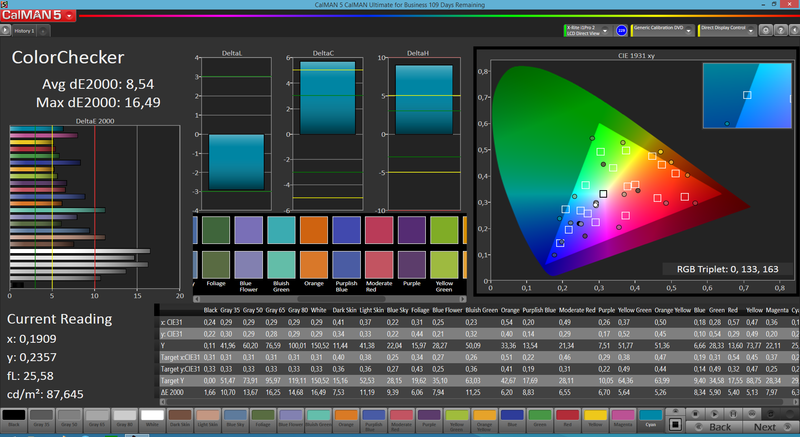 This means the display is not perfect for professional users since there is still a significant deviation from the reference value after the manual changes. 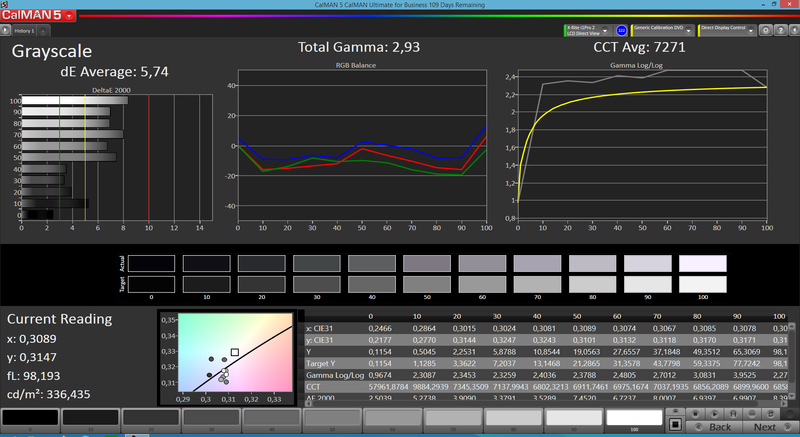 Still, colors look vivid on the panel, black surfaces appear deep and only have a very slight gray veil. The high display brightness is obviously an advantage for visibility in bright environments, but the glossy surface can often create problems under direct sunlight. It is certainly easier to see the display content on the Xperia Z3 Compact compared to other devices with a lower luminance, but it is still very tiring for the eyes under direct sunlight. Places in the shade or indoors are no problem for the smartphone. 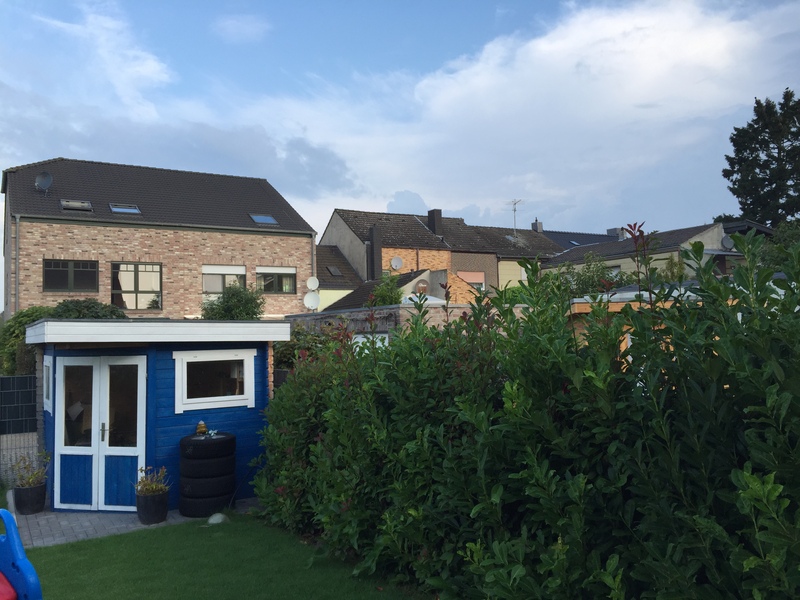 The viewing angles are, similar to the Xperia Z3, very wide: You can still see the picture from very flat angles without any significant distortions, only the brightness is slightly reduced. Fortunately, there is no difference if you shift your viewing position vertically or horizontally. The Xperia Z1 Compact already had a big performance advantage over its competitors, but the Xperia Z3 Compact can even slightly increase this advantage. It is equipped with the current and very fast SoC Qualcomm Snapdragon 801 MSM8974AC with a clock of 2.45 GHz. This means it is just as fast as the larger Xperia Z3. However, the Xperia Z1 Compact was already a very fast smartphone, so the differences are hardly noticeable in the synthetic benchmarks and you cannot really feel the difference in practice at all. The advantage over the rivals is pretty significant with up to 60%, only the Apple iPhone 5c is closer to our review unit. The Xperia Z3 Compact, like the iPhone 5c, iPhone 6 and Xperia Z1 Compact is one of the fastest devices in this comparison, but there is no relevant performance advantage over its predecessor in the processor and system benchmarks. The situation changes when we look at the GPU benchmarks, the Xperia Z3 Compact can manage a clear advantage. The GPU Adreno 330 is identical to the Xperia Z1 Compact, but the chip has a higher clock of 578 MHz in the Xperia Z3 Compact, so we can measure a performance advantage of up to 33% over its predecessor. All the other comparison devices are far behind anyway. 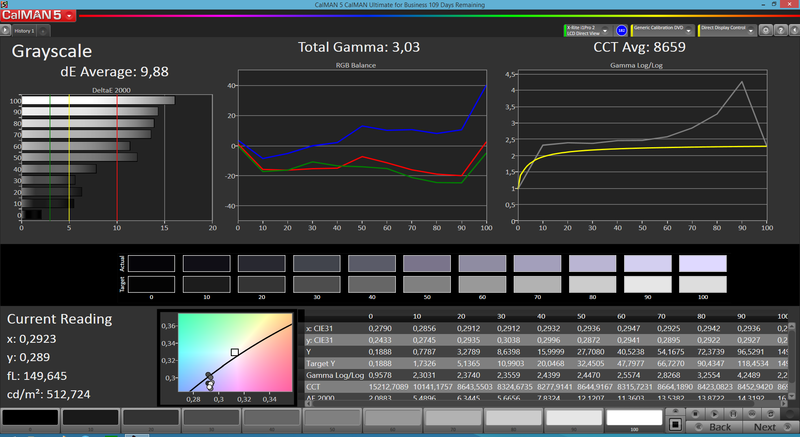 We use the benchmark GFXBench 3.0 to see if the device throttles its performance under continuous load. 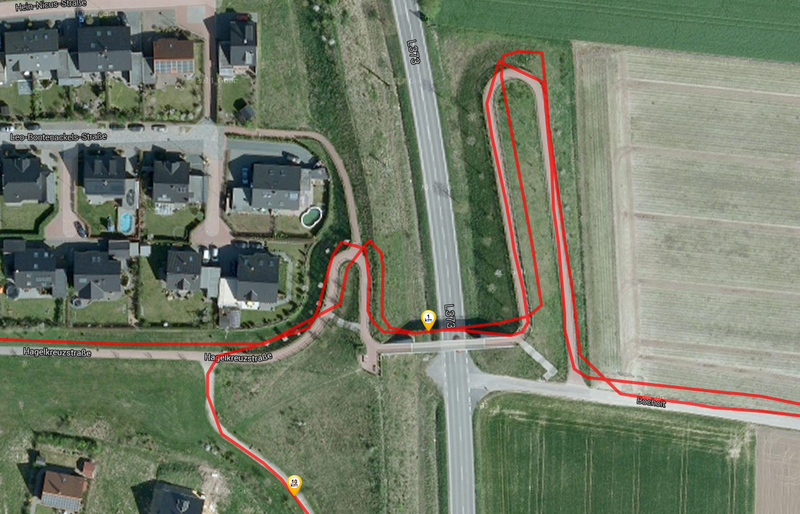 The test for the battery runtime also monitors the average result from thirty (30) consecutive runs: The result is almost identical to a single run, so there is no problem with throttling. The Xperia Z3 Compact can also convince in terms of web browsing performance: Its predecessor can be beaten in most benchmarks and even the iPhone 5c cannot always keep up. All the other rivals are once again clearly defeated. So what does that mean in practice? The Xperia Z3 Compact does not have any problems during web browsing, even with websites that use new technologies like HTML5 animations or full-screen browser videos. All pages were loaded quickly and the navigation was smooth. By the way, we used the browser Chrome 37 for all listed benchmarks. The Xperia Z3 Compact does not have to hide behind the rivals when we look at the transfer rates of the storage. Quite the contrary: While the Xperia Z1 Compact still had issues with sequential writes, the Xperia Z3 Compact can convince with a very high transfer rate of 133 MB/s. The Xperia Z3 Compact is also very good compared to the rivals in other disciplines, so accessing the 16 GB storage is very quick. You can expand the storage with a micro SD card (up to 128 GB). 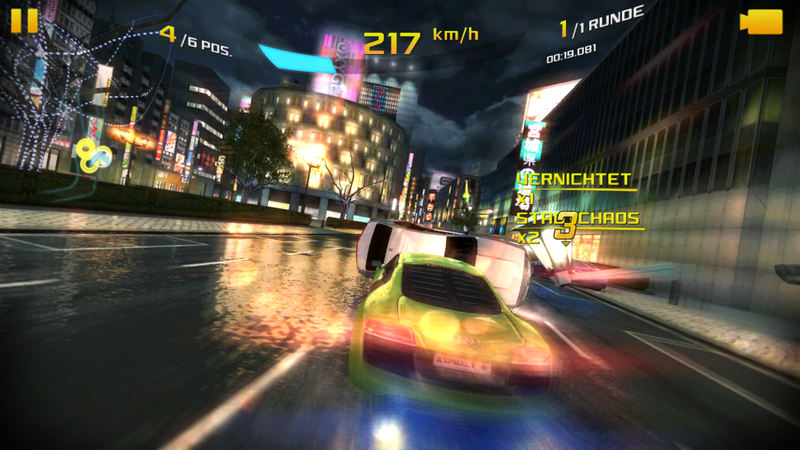 Thanks to the very fast Adreno 330 GPU, the Xperia Z3 Compact handles games very well. This means that even more complex games like "Asphalt 8" or "Gangster: Vegas" can be played smoothly. The performance advantages compared to the rivals are noticeable during loading times and the completely smooth presentation. 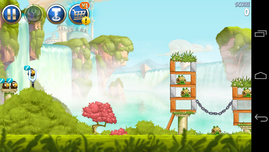 Simpler games like "Angry Birds: Star Wars" or browser games are therefore no problem at all. 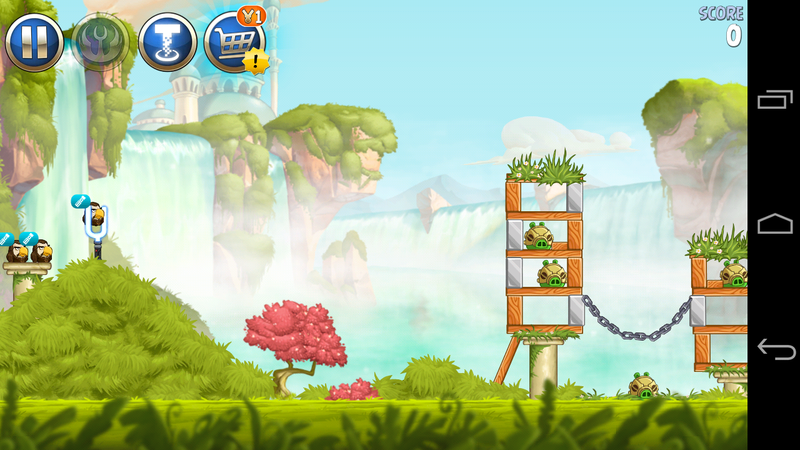 Simple titles like "Angry Birds: Star Wars 2" are no problem for the smartphone. The same applies for more complex games like "Asphalt 8". Nothing really has changed compared to the predecessor in terms of temperature development, the Xperia Z3 Compact gets slightly warmer in general, but the differences are so small that you can hardly notice them in practice. 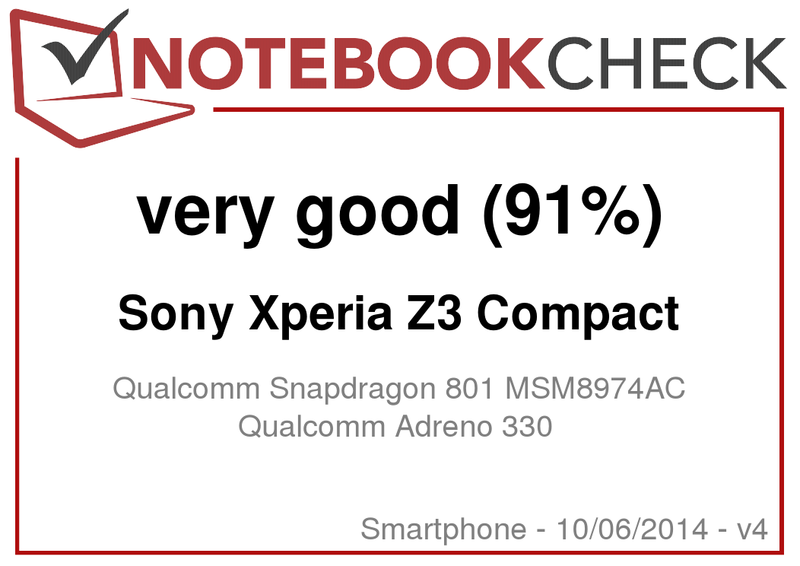 This is impressive when you consider the high performance of the Xperia Z3 Compact. It hardly gets warm at the front while idling, only the back gets slightly warmer, but the difference is still very small. The absolute maximum temperature under load is 39.9 °C (~103.8 °F), which is just 0.1 °C (~0.2 °F) more than the highest temperature of the Xperia Z1 Compact. Comparison devices like the Samsung Galaxy S5 Mini or the Apple iPhone 5c are not as warm, but also offer less performance in return. Overall, the temperature development of the Xperia Z3 Compact is very convenient. 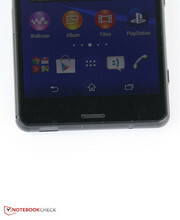 We were pretty disappointed by the speaker of the Xperia Z1 Compact. Sony improved that part significantly for the Xperia Z3 Compact and now uses the layout with two speakers at the front that we already know from the Xperia Z2 and Z3. The result is actually much better, it sounds richer, clearer and the maximum volume is decent. However, the speakers quickly reach their limit and the sound loses accuracy with very rich music and high volume settings. All in all, the Xperia Z3 Compact is now much closer to the sound quality of the HTC One Mini 2, but it is not enough to compete or even surpass it. HTC’s speakers just sound more defined and more balanced. Still, the speakers are a big improvement over the predecessor. Sony also includes several technologies to improve the sound experience: According to Sony, the "DSEE HX" technology lets compressed audio files sound almost like uncompressed files, the "Hi-Res-Audio Technology" is supposed to reduce ambient noise like clattering or distortions to ensure a better quality. There is also an equalizer and a virtual surround sound for the stereo speakers, even though the latter obviously only works in landscape mode. All these technologies noticeably change the sound, but you will have to try for yourself to find the perfect settings. Sony also offers digital noise reduction, but it only works with the optional headset, which is not sold with the phone. Coincidentally, we still had such a pair of headphones in our editorial office. The headphones have microphones on the outside that catch ambient noise and create a counter noise, which suppresses the ambient noise. 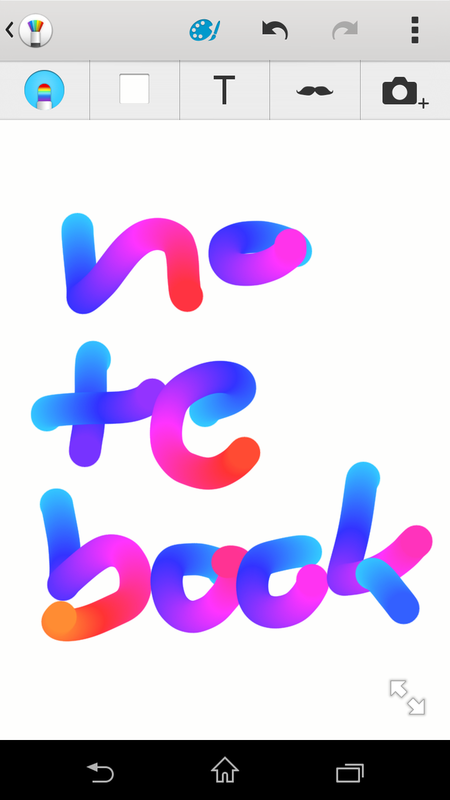 The effect is noticeable, but in our opinion the technology is not really necessary. We think a decent set of headphones should be sufficient. The first thing we noticed is that the power consumption is actually 0.0 Watts when the device is turned off. You might think this is a matter of course, but this is unfortunately not the case for other devices. During standby, we can only measure 0.1 Watts for the Xperia Z3 Compact, but we already know about the low consumption from the Xperia Z1 Compact. However, Sony managed to reduce the idle consumption, the smartphone uses 0.7 Watts (on average) less than the predecessor while idling, which is almost a reduction by 50%. You can notice the very powerful SoC under load, where the consumption is much higher than the predecessor and all the comparison devices. The battery capacity of the Xperia Z1 Compact had been already impressive for a device with these dimensions, and the Xperia Z3 Compact even has a 13% larger unit with 10 Wh or 2,600 mAh. 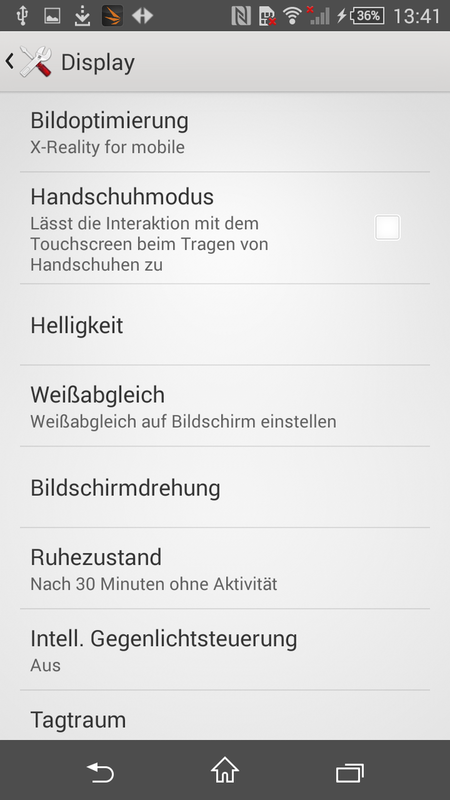 Thanks to the increased capacity and the lower consumption values compared to the predecessor, you get really impressive battery runtimes: If you leave the smartphone active with the automatic standby mode, you would get a runtime of almost two days with the minimum display brightness and without WLAN before the battery is empty. This meets Sony’s claim. We actually think a runtime of two days is possible in practice with a mixed workload and standby over night. However, the battery is quickly drained during very complex tasks due to the powerful SoC: You can work or play for almost 3 hours with the maximum performance. Web browsing via WLAN is possible for more than 22 hours, movie playback, even longer depending on the video player. You should not have any problems to cover a long flight with movies. If this is still not sufficient for you, then you can activate the "Stamina" or "Ultra-Stamina Mode". These two energy-saving modes use different settings that deactivate background services as well as unnecessary data connections to get the most out of the battery. They work well, but it is a bit annoying that you have to restart the smartphone if you want to switch back to the normal mode after you have used the "Ultra-Stamina Mode". Sony does it again: Introduces a new model after a couple of months and actually managed to integrate significant improvements over the predecessor. Huge innovations are not possible, but a convenient evolution is not bad, either. You can obviously have mixed feelings about the product policy and its usefulness, but it is a fact that the Japanese once again produced a great smartphone. Why? 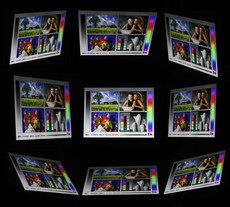 Because the display is very bright and sharp and has a good contrast. Because the speakers and the better sound quality are a quantum leap compared to its predecessor. Because the performance is much higher compared to the rivals and the battery runtimes were improved significantly at the same time. Because the camera is probably not the best one on the market, but it takes very good pictures. And because Sony still has some great features, for example, the game streaming from the best-selling next-gen console PlayStation 4. You also have to look really hard for drawbacks: The GPS module could be more accurate, the WLAN signal could be better, the case stability is not perfect and the materials are too slippery and quickly attract fingerprints. The camera could take better pictures in bad lighting conditions and a blue cast in the display is not really acceptable nowadays. The great user interface with numerous settings, the optional accessories, free software for virus protection as well as navigation and the comprehensive picture and video apps can quickly compensate these small drawbacks. We add one point to the rating for this and the possibility to stream PS4 games. The Sony Xperia Z3 Compact is a small high-end smartphone where you hardly have to make any sacrifices compared to the larger Xperia Z3. However, it is also more expensive than the rivals, and this was often the reason that Sony lost market share in the past. If you do not mind the additional charge and want the additional performance, then you certainly get the best "small" smartphone on the market right now with the Xperia Z3 Compact. If you want to save some money, then you can get the HTC One Mini 2, LG G2 Mini or Samsung Galaxy S5, and even Apple's iPhone 5c is currently less expensive. 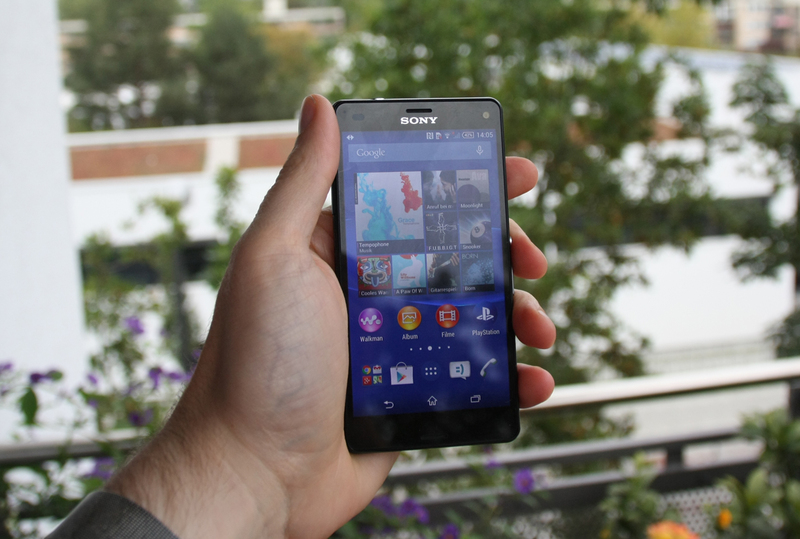 In Review: Sony Xperia Z3 Compact. Test model courtesy of Sony Germany. 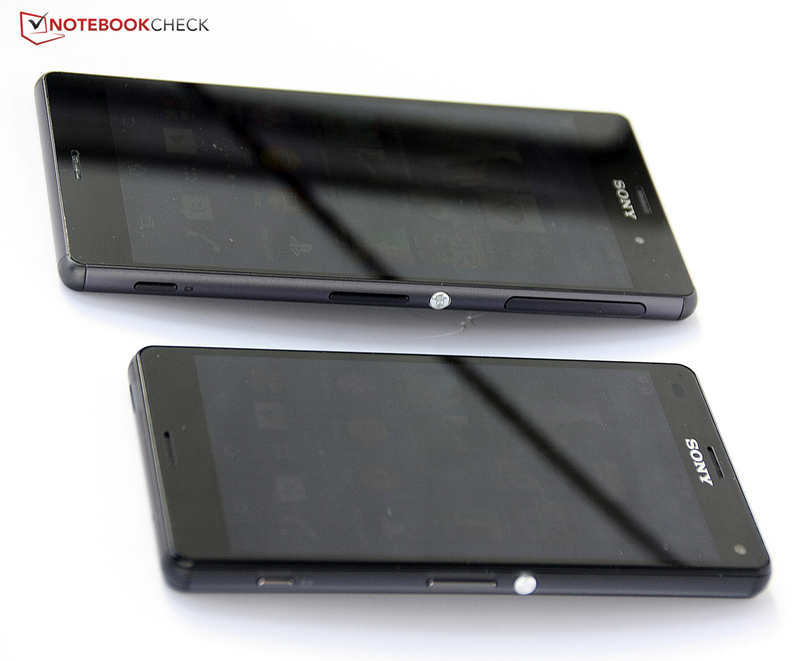 The small sibling has many similarities with the Xperia Z3. The sophisticated case materials, for instance. However, both models also share the slippery back that attracts fingerprints. The display is not as bright as the predecessor, but still good. The camera at the front is actually decent. Top and bottom with one speaker each. All the physical buttons are at the right side of the case. The camera at the back takes really good pictures, but only in good lighting conditions. NFC is now included as well. The case is once again dust resistant and waterproof. 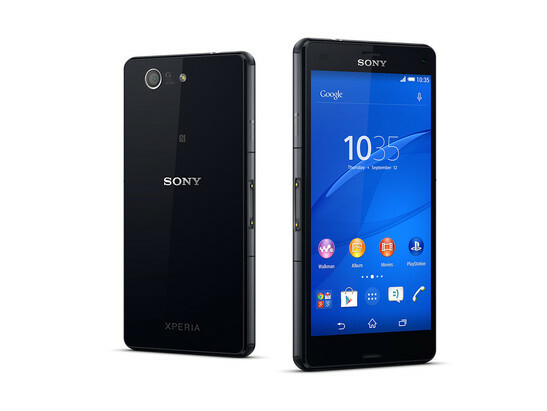 Overall, the Xperia Z3 Compact is a great offer with more performance than many rivals but also a higher price. 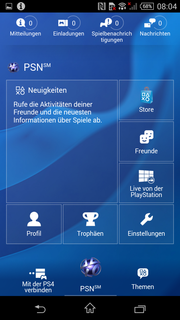 Sony only slightly changed the user interface, but the changes are noble. One of the highlights is the connection to the PS4 and the possibility to stream games. 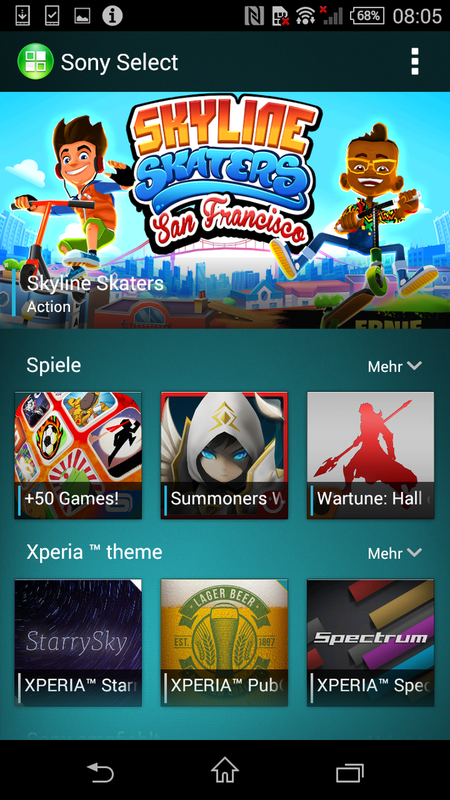 Sony Select offers some games from the Google Play Store. The music app looks nice and grants access to many sound improvements. 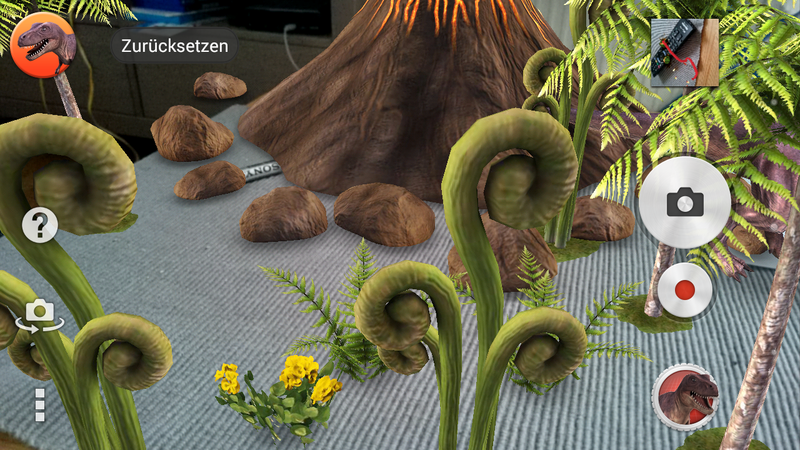 The camera also supports AR gimmicks. 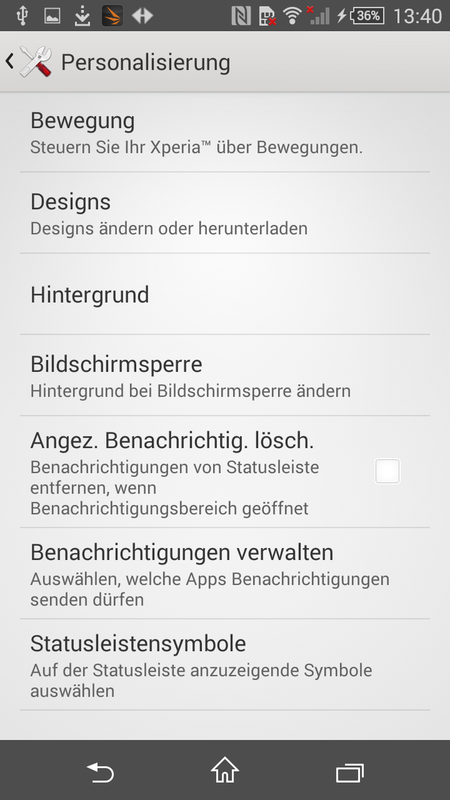 You get comprehensive personalization settings for the user interface. 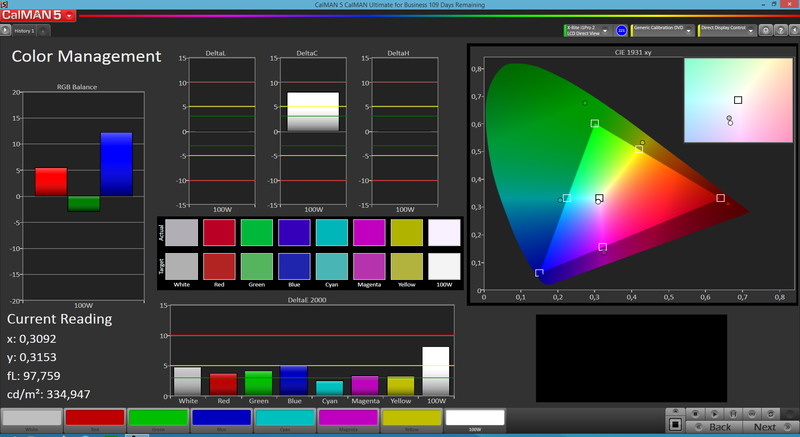 There are also many options for the display, including the manual white balance. The keyboard can be configured as well. You can create drawings on pictures and on a plain background with the app Sketch. Useful software additions include the free virus scanner, for example. That Sony improved the predecessor and finally created a useful connection with a strong brand (streaming from PS4!). The display is the only thing that the predecessor made better than the Xperia Z3 Compact: The new version has a lower brightness and even a lower contrast. Sony should have improved the panel. How much performance Sony managed to put in such a compact case and how long the battery lasts.